The official portrait of the Countess of Pembroke, wife of Lord Herbert, the 18th Earl of Pembroke, was painted for the collection at Wilton House, the family’s country seat for over 400 years. It hangs alongside ancestral portraits by van Dyck, Reynolds and Raeburn. The collection, which rivals that of major museums, also includes works by artists such as Raphael, Titan, Rembrandt and Rubens. Given the setting, the composition was conceived in a traditional aesthetic, and Lady Pembroke’s attire speaks to both the past and present. The books and papers on the table reference Lady Pembroke’s designs for the restoration of many of Wilton’s rooms. This informal family portrait depicts Sam and Michelle Levinson and four of their five daughters. A portrait Alexander had previously painted of two of the Levinson children is seen in its early stages on an easel in his studio. 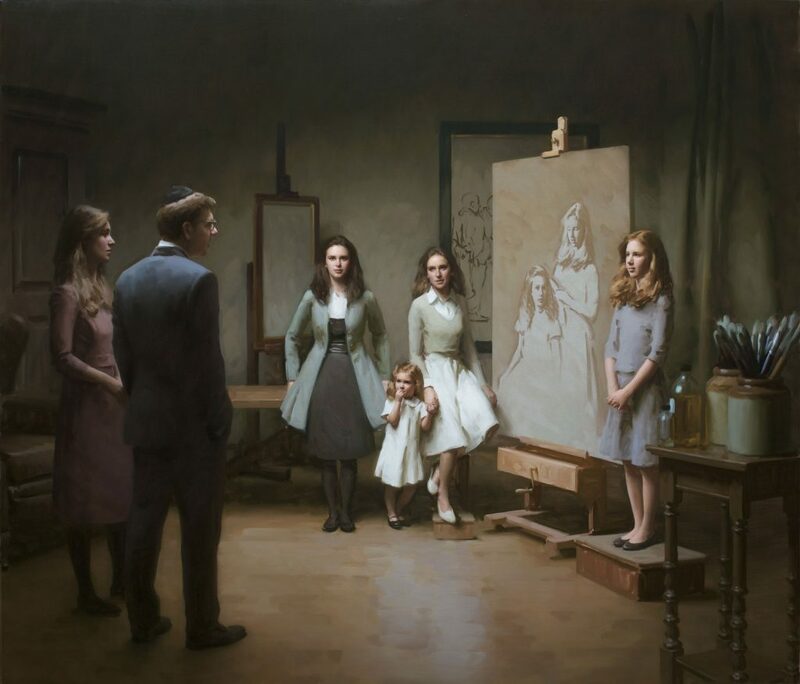 One of the girls, Lili, is seen posing next to the portrait, while her sisters keep her company and her parents look on. The artist is “offstage left”, unseen. The narrative in both the present painting and the unfinished portrait underscores the Levinsons’ strong family bonds. 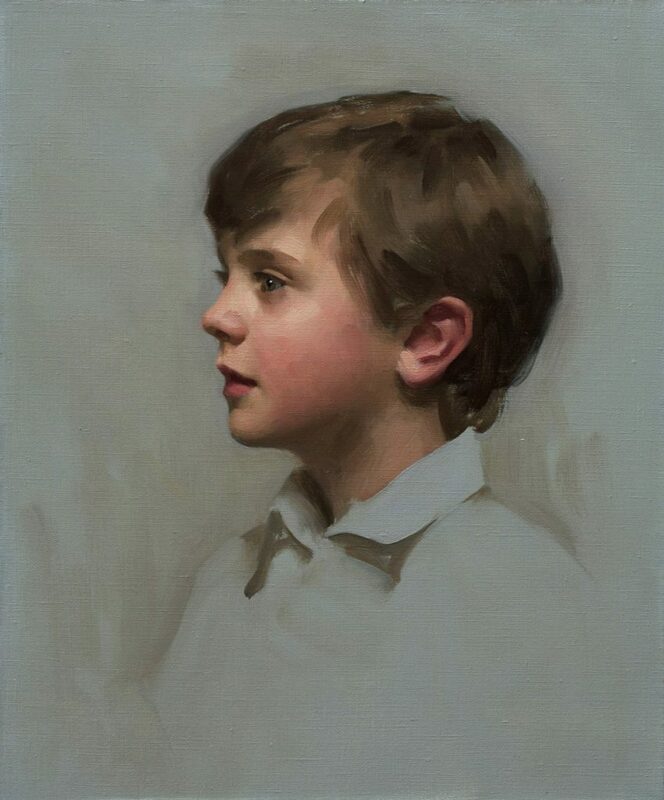 The portrait hung at the National Portrait Gallery over the summer of 2017 as part of the BP Portrait Award. It won the Visitors’ Choice Award as the public’s favourite painting that year. It now hangs at the Levinsons’ home in New York. 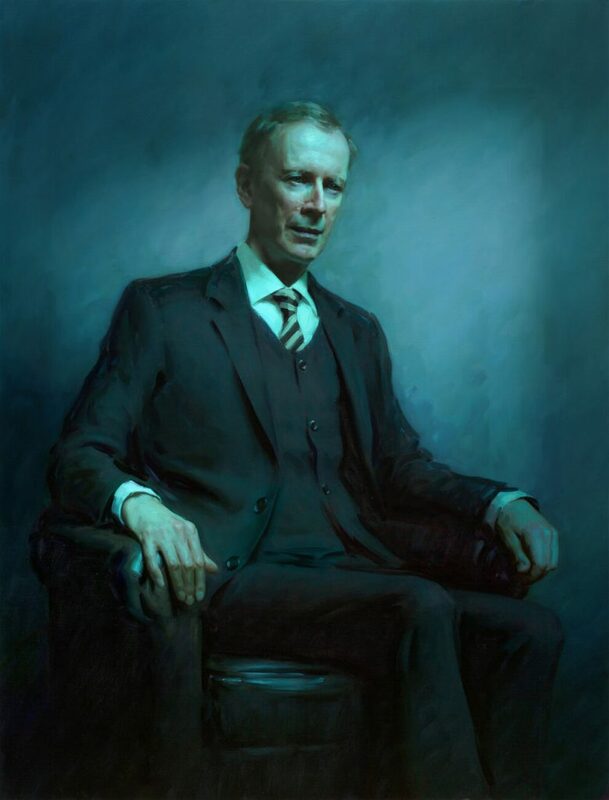 Sir Andrew Wiles is the UK’s most eminent mathematician. He is a Royal Society Research Professor at the University of Oxford, specialising in number theory, and in 2018 was appointed as the first Regius Professor of Mathematics at Oxford. He is most celebrated for proving Fermat’s Last Theorem, for which he was awarded the Abel prize in 2016. The National Portrait Gallery in London commissioned Alexander to paint his portrait for its Permanent Collection. It depicts Sir Andrew bathed in an ethereal, perhaps nocturnal, blue-green light, symbolic of the cerebral world he inhabits. The painting hangs in Room 36 at the Gallery. Alexander painted the Queen at Buckingham Palace over the course of four sittings in 2010. 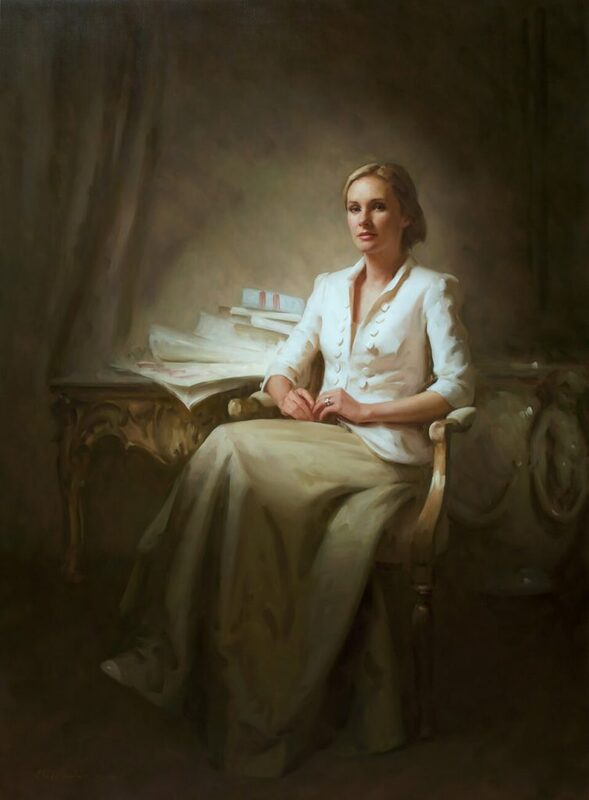 The portrait was commissioned by the Royal Warrant Holders Association, which in 1996 had awarded Alexander the prestigious QEST scholarship. The painting hangs at the RWHA headquarters in Buckingham Place, behind the Palace. It has been on public display on various occasions, most recently at the Victoria and Albert Museum. 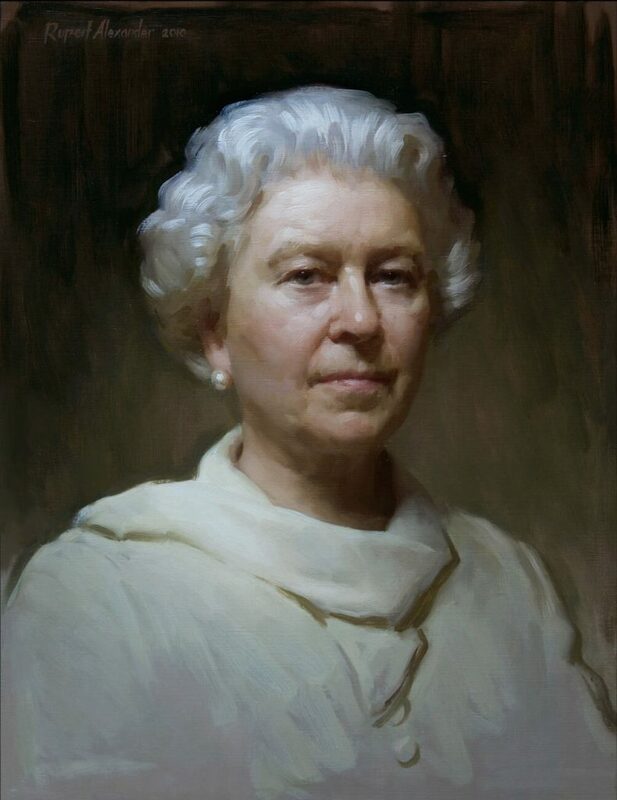 The portrait is intended as a less formal, if still somber, depiction of Her Majesty, focusing on the intimate, human aspects of her character rather than the symbols of her public position. The portrait was painted over the summer of 1998 at Buckingham Palace when the artist was just 23 years old. He was the youngest artist to have painted a senior member of the Royal Family for nearly 300 years. Alexander asked for the sittings to take place in the Chinese Dining Room, Prince Philip’s private dining room, because of the dramatic light provided by the high north windows, and the dark, cavernous interior of the room. 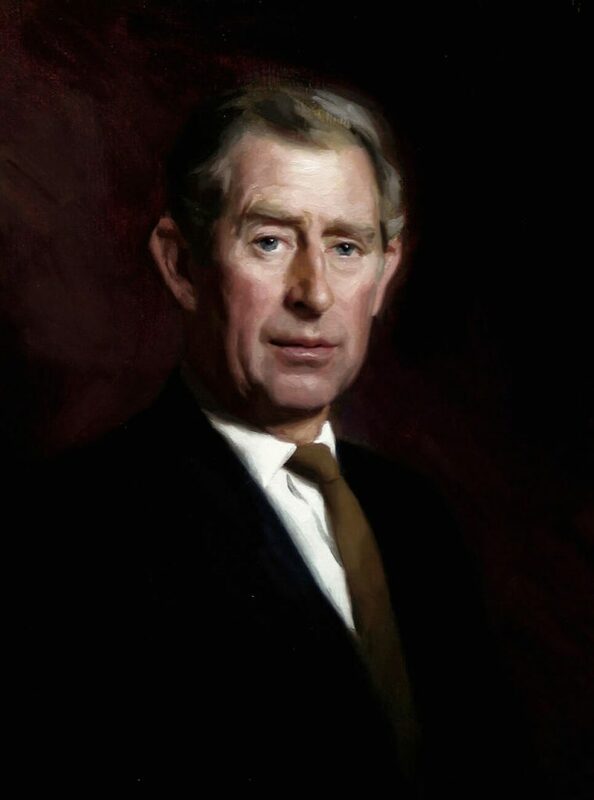 The portrait, along with that of the Prince of Wales, was unveiled at a ceremony at the RAC Club later that year. Alexander made a number of trips to Highgrove, the Prince’s private estate in Gloucestershire, in the summer of 1998 to work on this portrait. It was painted in the beautiful summer house that the Prince had recently built to his own design. He and Alexander spent many hours discussing their shared love of painting, architecture and classical music. The portrait was painted at a turbulent time in the Prince’s life, and some of that tumult can perhaps be felt in his countenance. Reggie is the oldest son of the Earl and Countess of Pembroke. Alexander was commissioned by the Countess to paint oil sketches of their four children as a surprise present for the Earl’s 40th birthday. 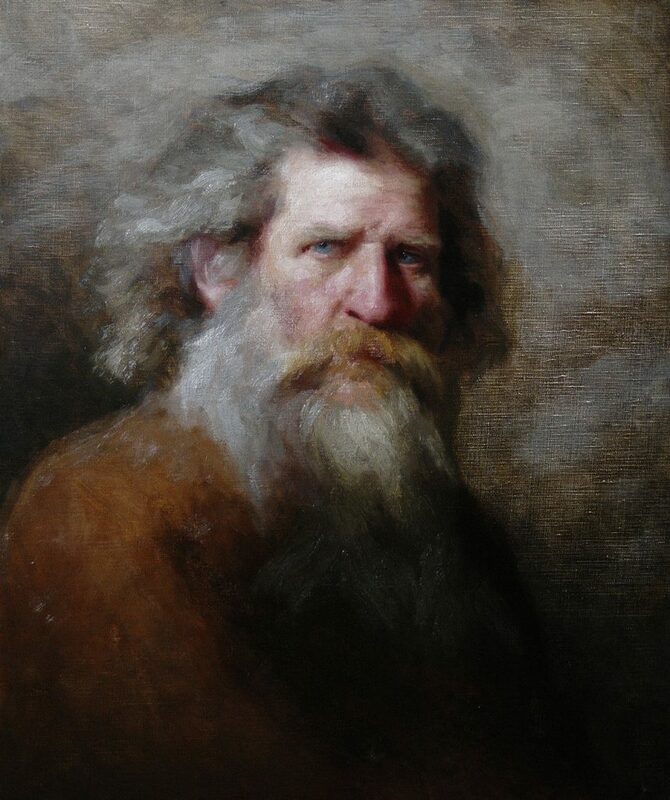 The portraits hang at Wilton, the family seat, alongside portraits by Rembrandt, Holbein, Van Dyck and Sargent. Alexander painted this portrait of three sisters for the dining room of the magnificent home their parents were building in North London. 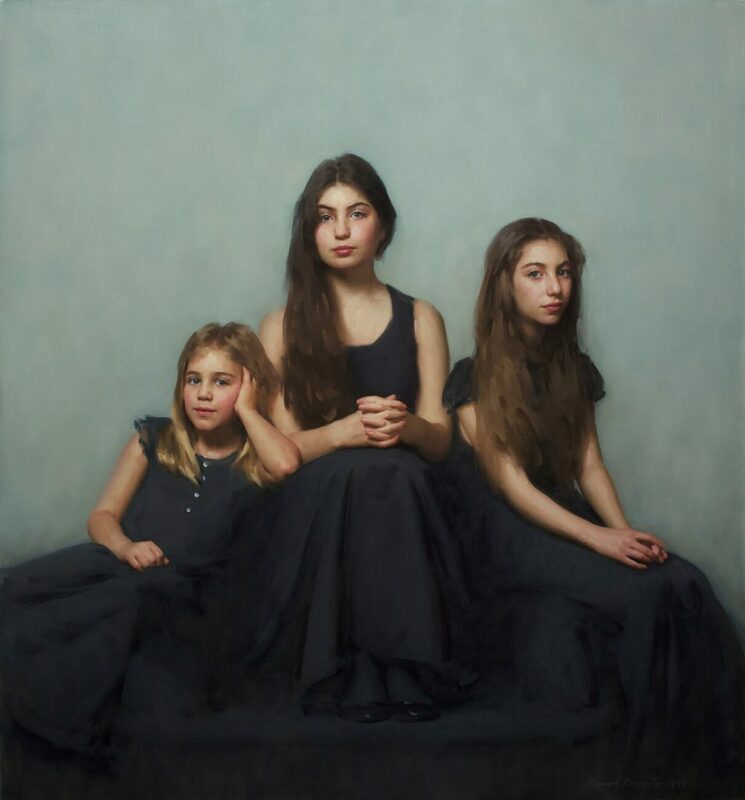 The portrait captures not only the individual characters of the three girls, but also the familial dynamics between them. This portrait of the artist’s wife is based on an earlier study painted when the couple first met in 2004. 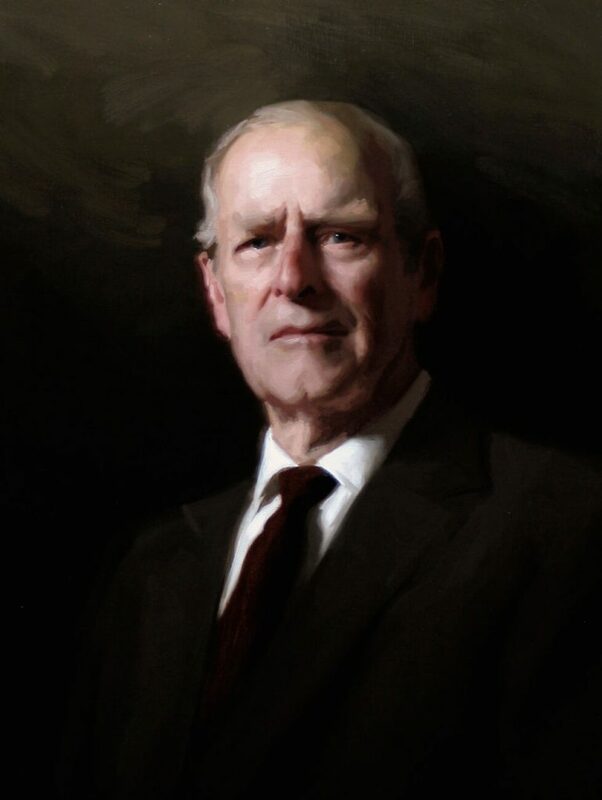 That version was painted on camera for the BBC documentary By Royal Appointment, and the portrait subsequently entered the collection of an American patron. Thirteen years later Alexander revisited the original composition and produced the present painting. Hans, a German who had lived in Italy for many years, and who spoke five languages, was a friend of the artist during his years in Florence. He lived on the road, entirely by choice, and would come up to Alexander’s studio for lunch and long portrait sittings. Alexander painted and drew Hans on many occasions. 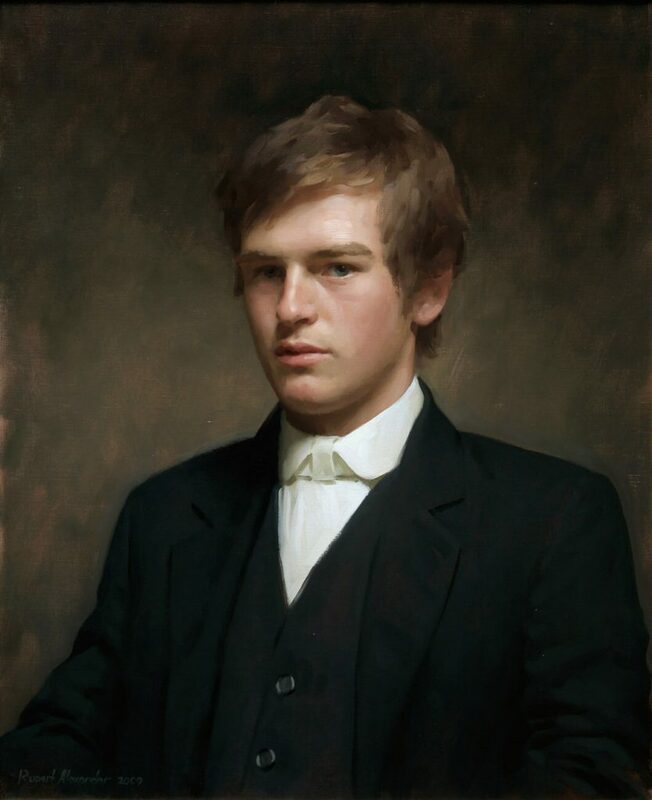 Alexander was commissioned by Robert’s parents to celebrate his finishing school (he is depicted in his Eton uniform), before going up to Oxford. As such, it captures the fleeting period of transition from childhood to adulthood. Roger Knight was the CEO of the MCC from 2000-2006 and its President from 2015-16. 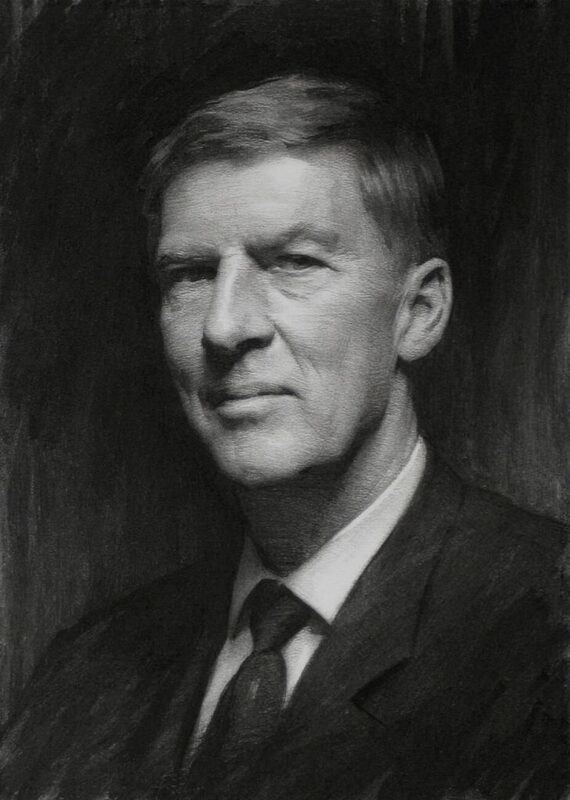 The portrait was commissioned by Lord’s, where it now hangs, along with five other portraits by Alexander, as part of the world’s finest collection of sports-related art. Christopher is an old friend of the artist. 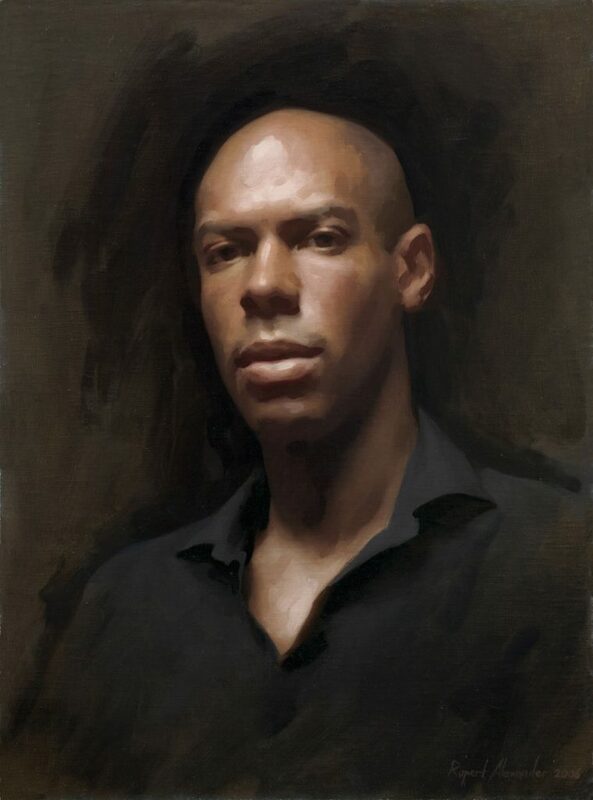 His portrait was the first that Alexander painted in the new studio he had built in London in 2005, soon after returning to the UK after ten years painting and teaching in Florence. 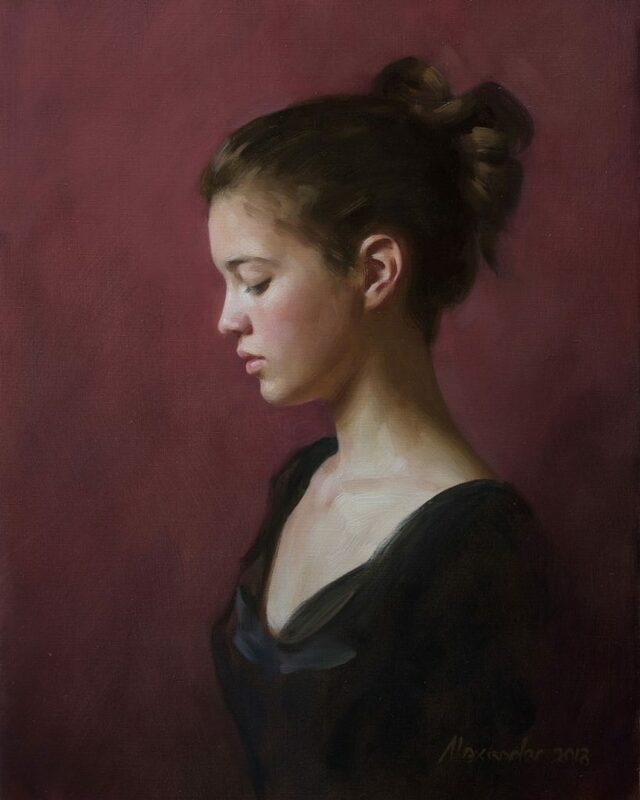 In 2006 the painting hung at the National Portrait Gallery in London, and then at the Scottish National Portrait Gallery, as part of the BP Portrait Award. © Rupert Alexander. Website: Skim.